PANAMA CITY, Panama (CNS) — Panama’s geographical position as a bridge between land and ocean is symbolic of its ability to broker peace and hope in an area marked by violence and conflict, Pope Francis said. 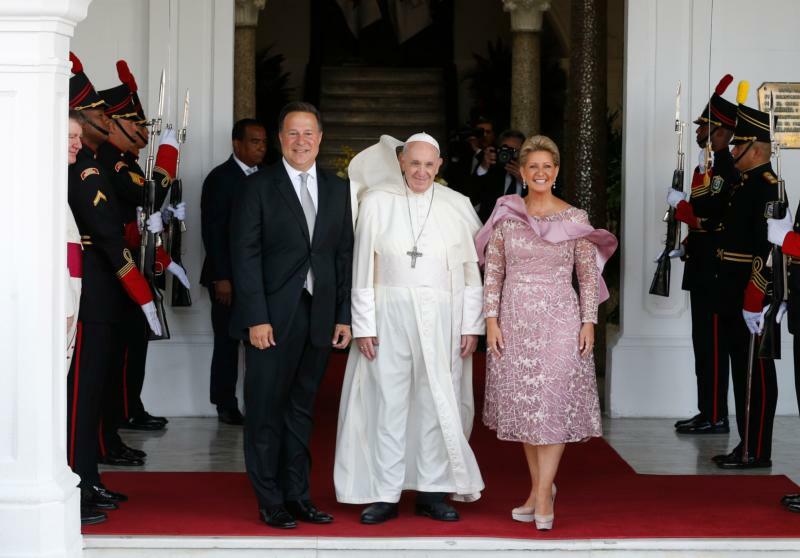 Arriving at the presidential palace to greet the pope was an ecumenical delegation from the country. Argentine Rabbi Gustavo Kraselnik, who has lived in Panama for the past 16 years, told journalists the Central American country was and continues to be “an example of interreligious dialogue” for the world. “So many religions coexist without conflict (in Panama). What is normal here is extraordinary in other parts of the world,” Rabbi Kraselnik said. “I don’t know if the pope will want some (mate tea). If the pope wants it, he can have it,” Father Caruso said. “To be a land of convocation means celebrating, acknowledging and listening to what is specific about each of these peoples and of all those men and women who make up the face of Panama and work to build a future of hope,” the pope said.